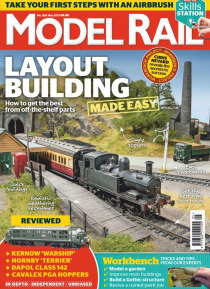 Model Rail magazine is the UK's biggest-selling magazine dedicated to railway modelling. Every issue is packed with the country’s finest home and club layouts, stunning photography, unbiased and in-depth product reviews, expert tips, layout plans and step-by-step articles that really show you how. In our unique ‘Workbench’ section, we tackle a wide range of modeling skills and projects. O… ur expert writers and model-makers will help you to get the most from your hobby and build the layout of your dreams. Model Rail is published 13 times a year, every four weeks.